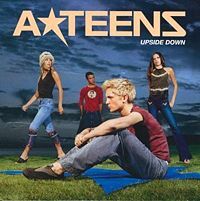 The song A*Teens (A-Teens) - Bouncing Off The Ceiling (Upside Down) is professional recreation. It is not by the original artist. Bouncing Off The Ceiling (Upside Down) A*Teens (A-Teens) Your browser does not support the audio tag. Floorfiller A*Teens (A-Teens) Your browser does not support the audio tag. Halfway Around The World A*Teens (A-Teens) Your browser does not support the audio tag. Supertrouper A*Teens (A-Teens) Your browser does not support the audio tag.